Deputy Chairman of the State Duma Committee on International Affairs, Aleksey Chepa, noted that “increasingly, the statements of the Ukrainian side are of a populist nature.” The deputy recalled the recent intention of Kiev to withdraw from about 40 agreements, including trade and economic relations with Russia. “Ukraine has acted and presented a large number of sanctions against the Russian Federation, supported and initiated restrictions on trade with Russian companies on the world market. What kind of WTO can we talk about? At the moment, in the conditions of the sanctions war, which the USA has unleashed against a large number of countries, under what conditions can this organization function? The restrictions proposed by the West and supported by Kiev contradict the principles of free trade, ”the parliamentarian said. 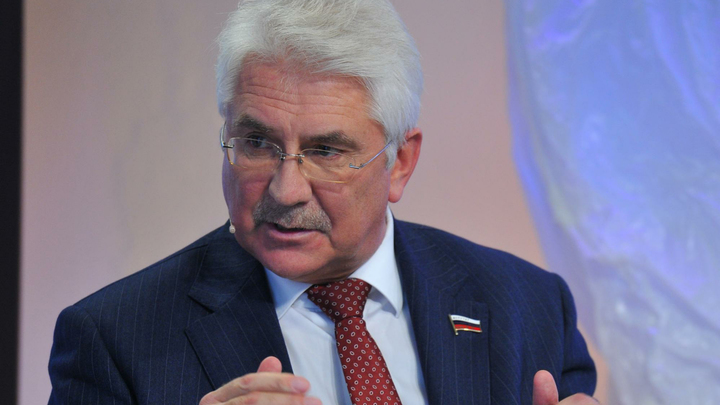 According to Alexei Chepa, Russia has never obstructed and does not intend to prevent Ukraine from cooperating with Europe, which Kiev hopes for. Ukrainian authorities have repeatedly stated the importance of the course towards European integration, focusing on the Association Agreement with the EU, which was supposed to open up new prospects for goods from Kiev. However, the economic miracle did not happen: the Ukrainian population is getting poorer, and the country is rapidly increasing debts to the IMF. “The euphoria and hopes that Ukrainians had a few years ago, hoping that Europe would squeeze them in its arms and open access to all its own, are beginning to pass. Ukrainian goods were not sold in Western markets, and this will never happen. In many ways, Ukrainian manufacturers and the market were focused on the Russian Federation and the CIS, our cooperation has been developing for decades, but overnight everything has collapsed, ”Chep added. “Ukraine suffered the most from this. Europe does not want to see Ukrainian goods on its market. The only value that has remained in Ukraine today is land, and then it is exported, as the Germans did in their time during World War II. And the second product, which the Ukrainians successfully bargain with and which the West is interested in, is Russophobic sentiment, ”the Deputy Chairman of the Committee concluded.